digital-media-lab - research: Reaching out your consumers through the social media landscape in China? 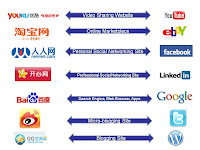 Reaching out your consumers through the social media landscape in China? Big names like Facebook and Twitter find it difficult to make a mark in China for several reasons including government policies and competition from local social networks. 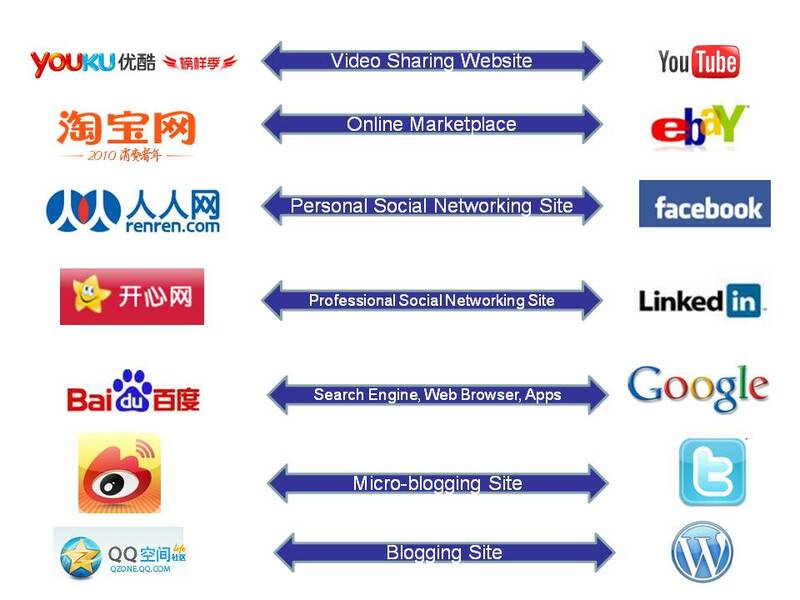 China’s social medias thus tend to have similar features than their western competitors. If you want to venture into China, you might want to consider increasing your brand awareness, try to become more visible online and engage a community of loyal customers. That is why you will need to master those social media marketing tools. Qzone, built on the back of over 637m active users on Qzone’s messenger, Qzone is a nickname based social graph with over 481m registered users, making it the number one Chinese social networking site in the country. The second largest name in the industry is RenRen with over 170 million registered users. It mainly caters to students and people with white-collar jobs. The website is expected to IPO in the near future. Pengyou, a real name SNS with over 131m registered users, is giving tough competition to RenRen by catering to similar demographics. One of the biggest names in SNS China, Sina Weibo, is a microblogging site that is often compared with Twitter. Kaixin001’s post-forwarding features and games gave it a big name among white-collar workers. Yet, the SNS is now struggling due to stiff competition from other websites, mainly Sina Weibo. 51.com is one of the few SNS sites that enjoyed fame among rural users. However, its popularly seems to be declining now with peak users having fallen to 0.7m. Many people have also criticized the website’s claim of 178m registered users, calling the claim irrelevant. Douban is a unique Chinese SNS that gives people (mainly youth) an opportunity to discuss things they like including events, music, books and movies. It is considered a good place for creative discussions, which is one of the main causes for its quick growth. Taomee is one of the few Chinese sites that are popular among children and their mothers. It is basically a social networking site with interesting games that help attract children. Being a parent company to other children’s sites including several themed sites such as Saier and Moer has helped it grow exponentially. Tencent Weibo, another microblogging site, faces stiff competition from Sina Weibo, which is considered a pioneer in the field by many. As per reports, Tencent currently only holds around 9% of Chinese users on microblogs in comparison to Sina Weibo’s staggering 87%. Jiayuan is a Chinese dating site that is rumored to go IPO in the near future. It is popular for bringing people together and currently stands at the number one spot among Chinese dating sites.